This is the first book I have read from this author, although I am aware that she has published a fair few novels. 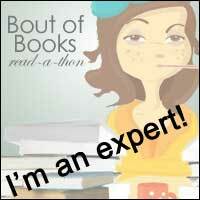 I chose the audio version of the story, which was actually narrated by the author herself. I found the story a little slow to start with, but it soon picked up and my patience was rewarded with an interesting and really compelling tale. 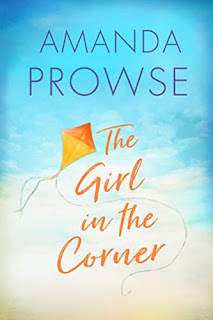 Review: The girl in the corner of the book’s title is the rather shy Rae-Valentine Pritchard (Rae for short). We initially find 16-year-old Rae on her first day at college where she meets noisy and confident Dolly Latimer; the girls become lifelong friends, with many adventures over the years. In the fullness of time, Rae marries Dolly’s brother, Howard, and we meet her thirty years later, when the couple have two grown-up children and are celebrating their silver wedding anniversary. Rae is happy with her busy life, helping to run the Latimer chain of restaurants and watching over her children and her parents. However, her comfortable existence is shattered by a revelation that turns her life upside down and makes her look back at her hopes and dreams as a young girl and at what she has become. Can her marriage and her relationship with her best friend survive the situation? After what I thought was a bit of a slow start to this book, I ended up really enjoying it and becoming totally immersed in Rae’s story. I enjoyed watching as she blossomed into a confident person under Dolly’s guidance and came out from under what she perceived as the shadow of her older sister. By contrast, Dolly is such a loud and shocking person that I found myself cringing from time to time, but her character also added a dose of humour to the story. I’m sure that there are many people who would identify with Rae’s position, reaching middle age and wondering what happened to their dreams for the future. This is a story that moves at a fast pace with many a surprise along the way. I could predict some of what was going to be revealed, but not what was going to happen in the end. I can recommend this book to readers who enjoy a family drama with good depth; don’t forget the tissues!